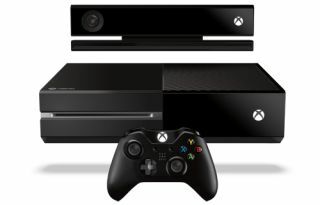 Microsoft confirms Xbox One will work without Kinect | What Hi-Fi? Microsoft has announced that the upcoming Xbox One console will work without Kinect plugged in, although it will still be included with the console when it goes on sale in November. In a Twitter Q+A conducted with IGN on Monday night, Xbox executive VP Marc Whitten revealed that the console will no longer need Kinect to turn on or indeed to function at all. At launch it was implied the Xbox One would need the new Kinect to function. Responding to a question about what would happen if Kinect was damaged, Whitten said that "like online, the console will still function if Kinect is not plugged in, although you won't be able to use any feature that explicitly uses the sensor". This reveal follows a series of reversals in which Microsoft has backtracked from previous comments made about the Xbox One console. In June whathifi.com exclusively revealed that the console would be dropping its commitment to being "always online" and removing its much criticised DRM restrictions. Recent weeks has seen the company lessen its stance on independent publishing, as well as reinstate its Chat Party headphone after previously stating that Kinect would be used for chatting online. However, Whitten did go on to say that the console was "designed to work with Kinect plugged in", and that while you'll be able to turn the sensor on or off at any time through the console settings, he urged potential users to give Kinect a try through the various ways "it makes gaming better". After the news emerged, Microsoft Senior executive Albert Penello weighed in on the matter in a post on gaming forum NeoGaf, echoing the positive stance held by Whitten while offering reasons for why it was unplugged. "The thing we all understood, and hence this change, is that there are some scenarios where people just may not be comfortable. We wanted people to be 100% comfortable, so we allow the sensor to be unplugged. And clearly the “it dropped” [Kinect breaking] scenario is possible." So while Kinect may not function in the manner Microsoft intended it to, consumers will now have in choice in whether they want to use it or not. The Xbox One will launch in the UK in November for £429 and aims to be a complete home entertainment system, using voice and gesture controls to allow you to flick between live TV, music and gaming. The Xbox One has HDMI inputs and outputs, and a Blu-ray drive for the first time – five years after the failure of HD-DVD.